Founded in 2011 by whisky expert Darren Rook and former microbrewery owner Nick Taylor, The London Distillery Company has followed a path initially laid out by Ralph Dodd, an 18th century engineer and entrepreneur who, unbeknown to Nick and Darren, had a similar idea – and an identically named business – way back in 1807. Due to bad forward planning Dodd fell foul of government legislation, was forced to disband the business and his entrepreneurship was largely forgotten. However, the deeds of Dodd’s failed firm were discovered by TLDC in 2012 while they were looking into local gin production and the team were so struck with the serendipitous coincidence of the similar story that their first line of distilled spirits is named in tribute to him. So, over 100 year’s after Dodd’s misfortune, the name The London Distillery Co. finally belongs to a working business and becomes London’s first whisky distillery to open in that time. A gaping 2,200 litre tauter tun waits patiently in the foreground. 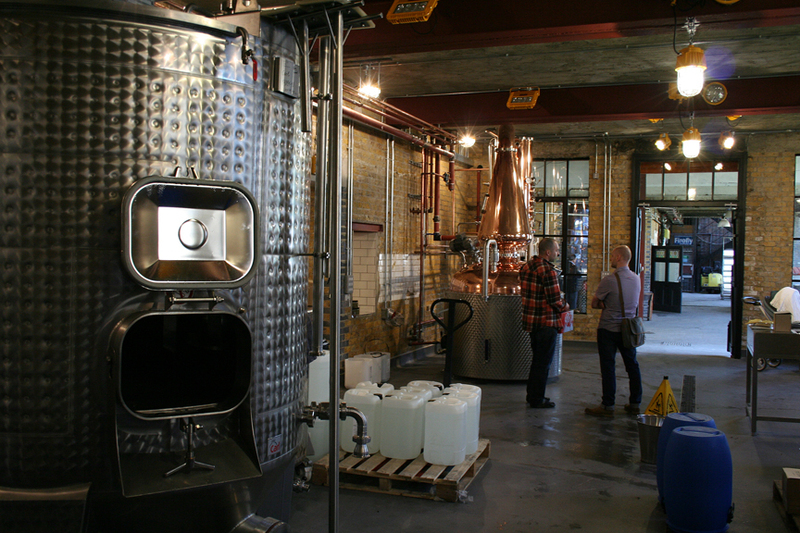 The distillery occupies the part of the building that was formerly used for cold storage. Still a work in progress, TLDC have begun transforming their workspace into something akin to the working innards of a steampunk submarine; yards of copper piping snake across the bare brick walls, pressure dials flicker and twitch, whilst the explosion-proof* lighting (originally intended for Chinese coal-mines) shines down and illuminates two resplendent, hand crafted copper stills, built in Stuttgart from specifications laid out by Darren and chief distiller Andrew MacLeod Smith. ‘Matilda’, the larger of the two stills is responsible for the company’s whisky production, whilst ‘Christina’ (who we could detect courts particular affection) is commissioned to distil the gin. Although whisky distilling plays a major part in their business plan, it’s through the development and production of the Capital’s most notorious beverage where the boys from TLDC get to explore their creative muse. 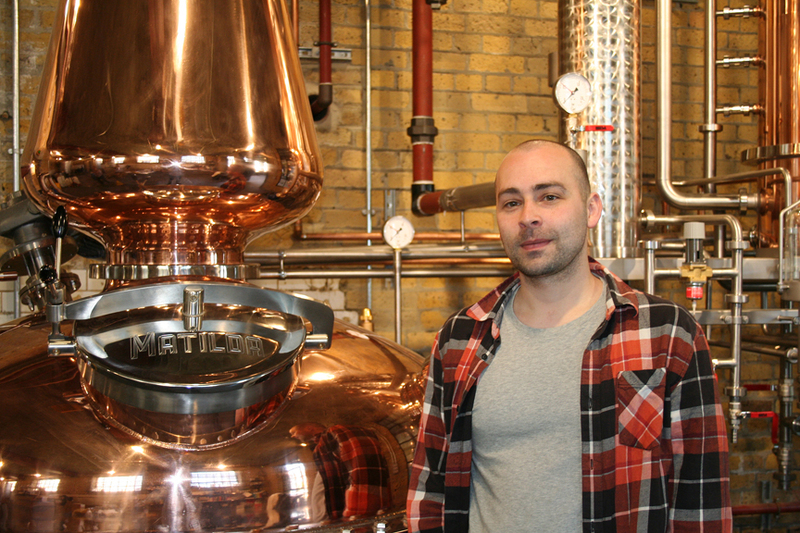 “Being in London, it’s rude not to make gin” says Darren. “There’s a lot more science in the whisky making” Andrew adds. “We love making whisky but with gin, it’s like alchemy… you get to be more artistic and, for us, that’s what’s exciting”. It is their gin experimentation that gave rise to ‘Dodd’s Gin’, TLDC’s first commercial output, and a respectful tipping of the hat to their Victorian counterpart. From the outset Andrew and Darren were very focused on what kind of product they wanted to achieve. “Being based in London, it was very important to create a really traditional London Dry style,” says Andrew “but we wanted to create something that was unique and distinct… something that represented us”. Unsurprisingly, though, its not as simple as stuffing them in the still and pulling the lever marked ‘Gin’. To counter the dryness, honey is added… a trick Andrew brought back with him from his time working for a distillery in Brooklyn. This, says Andrew, ” adds mouth-feel and oiliness to the finished product”, and to get round the ‘cooked note’ problems, part of the botanicals are distilled in a vacuum. “I knew that if we distilled the botanics this way we wouldn’t have the same degradation of flavours, so the ingredients retain their crispness and liveliness”. The two distilled spirit bases are then married together and given three weeks to settle in vats before being bottled and labeled by hand. The labels, like the gin itself, have been carefully crafted. Designed by United Creatives, they too reflect the company’s Victorian heritage with the use of geometrical engineering diagrams and industrialist, symmetrical shapes. Darren is keen to ‘do the right thing’ for his shareholders. As he points out, many of the company’s investors are from the whisky industry and obviously want to see a good product, but it is clear TLDC will continue treating the whole process as a craft rather than a cash driven production line. “You have to keep experimenting, you owe it to the consumer, and you owe it to yourself. You need to prove that the decisions you made are the right ones and so we are constantly looking at what we can do to make it better”. 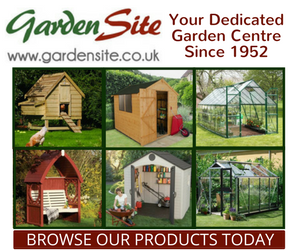 The demolition of an adjoining warehouse has opened up the possibility of planting an allotment garden where they plan to grow some of the botanic ingredients for their own uses (and for that of Street Kitchen, a mobile, gourmet food company that shares the same building). They also aim for the distillery to be powered by hydrocarbon-alternative energy by 2015. There is also whispered talk of a third still. Lofty ideas indeed, but there will clearly be no laurel-resting. As Darren succinctly puts it, “it is my duty, as a craft drinks maker, to constantly refine and experiment”. 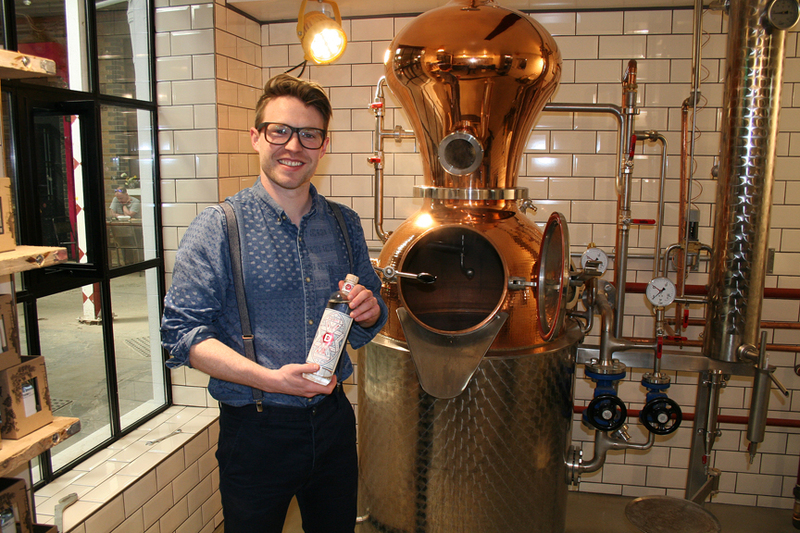 London’s gin and whisky industry is in goods hands with The London Distillery Company; a modern, ethical setup, run by a group of forward thinking guys with upstanding Victorian values. The spirit of Ralph Dodd lives on, in more ways than one. 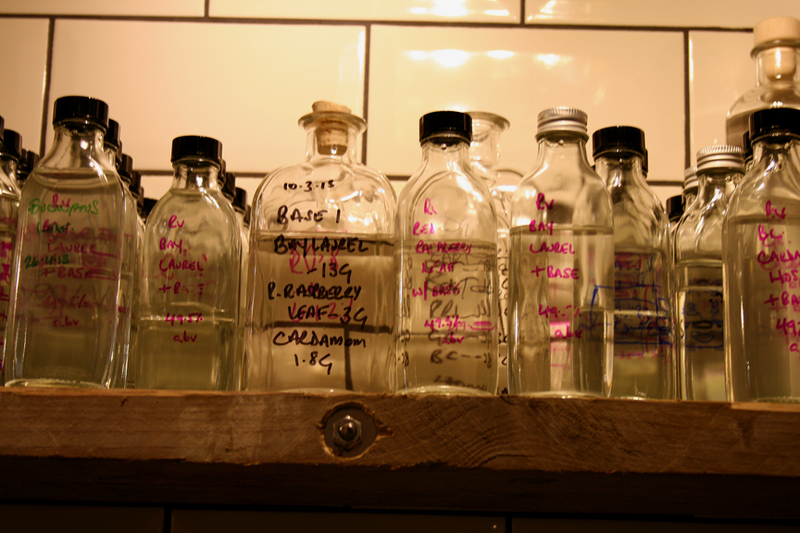 ** Botanicals are the natural ingredients that make each gin distinctive. The only one that has to be legally present for the spirit to be called a gin is Juniper. *** London bees, distinguishable from the common bee by their unwillingness to make eye contact whilst traveling on the tube. Nice article, is the gin widely available?